Toast and bake all in 1. Separate toaster and baking functions cook all of your food just the way you like it. 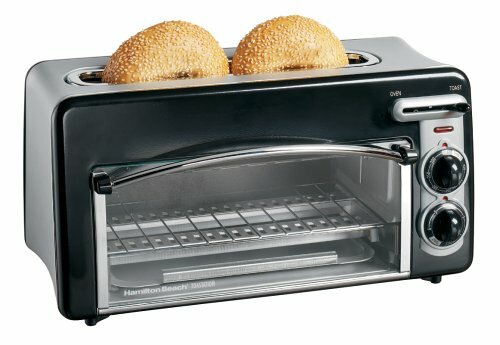 Hamilton Beach 2-slice extra wide 1-1/2-inch slot toaster with mini-oven. Unique bottom compartment bakes like an oven, perfect for flat foods, large enough to fit two large slices of pizza, two pop-tarts, or two 5-inch single serve pizzas. Includes auto-shut off and chrome accents. 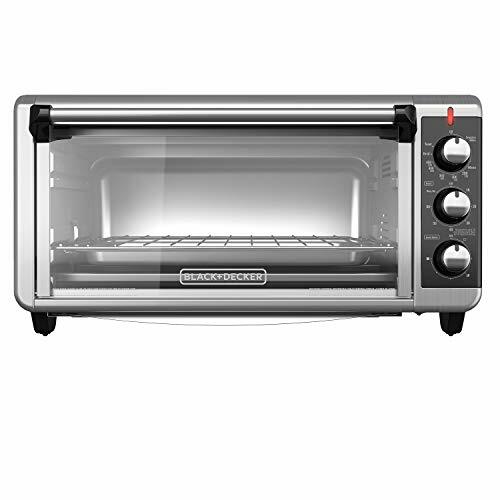 The BLACK+DECKER 8-Slice Extra-Wide Stainless Steel/Black Convection Countertop Toaster and Pizza Oven with Broiler Pan simplifies large baking tasks. Its extended interior fits an entire 13 x9 pan with handles, so you can bake lasagna, brownies, and even 12 pizzas with your standard bakeware. 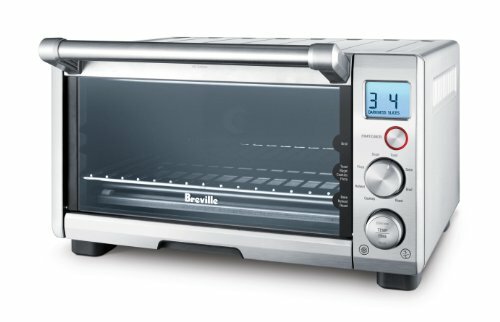 You won t have to wait around for your large oven to preheat anymore, just set the correct temperature and time and you ll be baking in minutes with four unique functions: bake, broil, toast, and keep warm. Convection technology circulates air within the oven for fast and even results while baking. Plus, the toaster oven includes a broiler pan and an external crumb tray that slides in and out, making cleanup a breeze. When it s time to eat, trust the #1 brand in toaster ovens* BLACK+DECKER. Fits Most Oven Pans - Use the pans you already have! This spacious oven fits most standard 9x13 oven pans with handles. That means you can go from straight from oven to table! Plus, the included baking/broiling pan fits perfectly, making it easy to insert and remove food. Toasting rack also included. 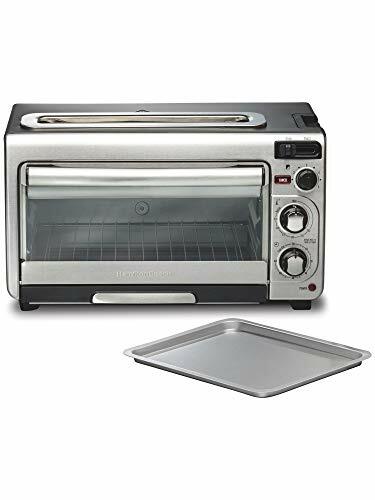 9 Pizza, 4 Slices of Bread - The compact toaster oven fits nicely on the countertop, while the curved interior makes room for 9 pizzas and 4 slices of bread. The Compact Smart Oven with Element IQ includes most of the features of a larger Smart Oven in a compact, counter space-saving design. From toast for breakfast, open melt for lunch to roasting for dinner, you can use it throughout your day. 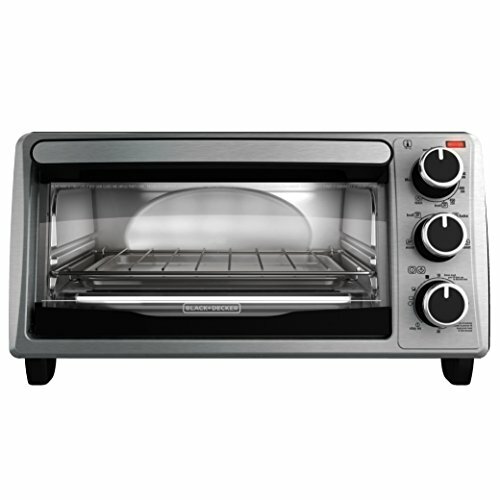 Willsence countertop toaster oven is sleek and stainless steel, looks great on your kitchen counter. Help you find the stuff you need in order to live a better life. An interior fan ensures heat is equally spread throughout the chamber. Meats cook to a tender and moist consistency with a nicely browned exterior. Extra Spacious Interior : Countertop oven is designed to fit 13 inch pizzas, casserole dishes, full size cakes, whole chickens, and more. Adjustable Racks: If you want to crisp things up, place the food right under the broiler. 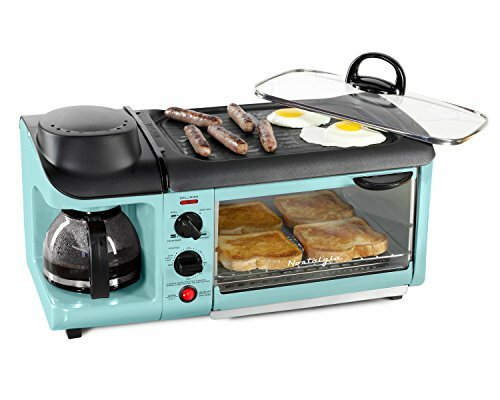 Nonstick Oven: Interior is made with non-stick surface. Just wipe the cooled nonstick surfaces with a damp cloth and leave them looking like new. Toast 6 slices of bread. Bake an 13 inch pizza. Roast a 10 pound chicken. 3 different rack positions in this oven interior, means you can move up or down to accommodate different foods. 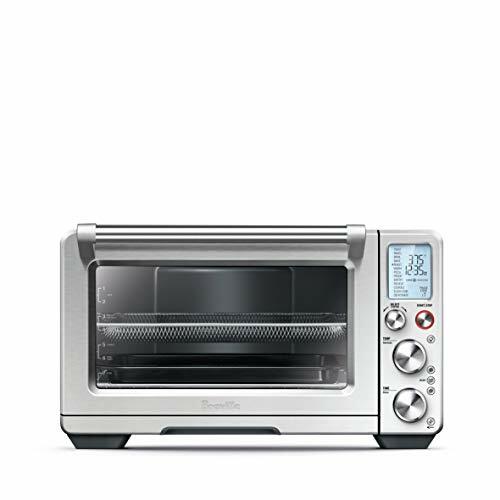 Unit measures: 17.72" x 11.42" x 11.22"
LED display allows you to accurately set up 9 pre-programmed cook functions that include bake, broil, pizza, cookies, toast, bagel, defrost, warm or reheat. 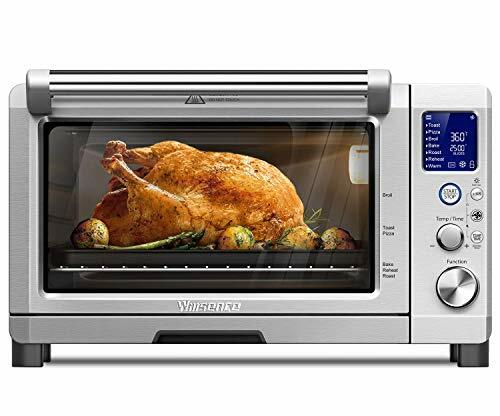 Uses convection heating technology to circulate warm air throughout the appliance for quick and evenly baking or cooking. Backlit, easy-read LCD Place the oven on a flat, dry surface. Ensure there is a minimum distance of 4 (10cm) of space on both sides of the appliance. Super Easy to Clean: Removable crumb tray makes it easy to remove crumbs and stainless steel interior is non-stick for easy cleaning. 2 years warranty. Package with recipes. 4 Independent stainless steel 1600W heating elements deliver the consistent heat throughout cooking process. Each element adjust intelligently for different cooking function to transfers exact and stable heat at the right time for delicious results. Convection setting can be turned on at any time during any of the cooking functions with separate convection touch buttons.This fucntion allows for much faster cooking times as well as more consistent heating for superior results. There is a built-in light bulb at the corner of the oven. With the internal light you can keep an eye on your cooking. No more guesswork in preparing meals.There is a switch button so you can turn on/off as you need. Easy cleaning with just one cloth. Easy to take out and clean. Large space, no more scald. Back-lit easy-read LCD display; cool touch stainless steel handle; non-stick interior allows for easy cleaning of your oven's cooking area. Keep the toaster oven clean with the convenient removable crumb tray. 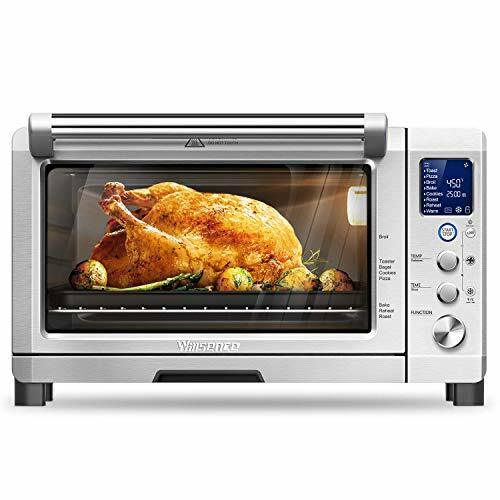 The Cuisinart AirFryer Toaster Oven is a premium full-size toaster oven with a built-in airfryer. It will not only bake a 4 lb. chicken or 12 in. pizza, broil salmon steaks, and toast 6 bagel halves at once, it can also airfry up to 3 lbs. of food using little or no oil. Powerful ultra-hot air fries favorites like wings, chicken tenders, and fish and chips to crisp, golden-brown doneness. And since a toaster oven stays on the countertop, this is a fryer that never has to be put away. Enjoy the crunchy texture and tastes you love no deep fryer required. 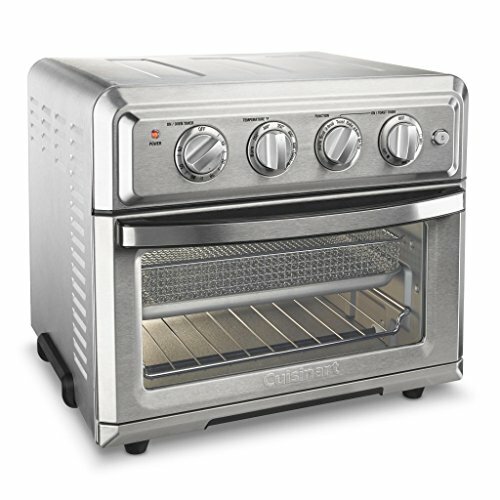 The AirFryer Toaster Oven, only from Cuisinart!